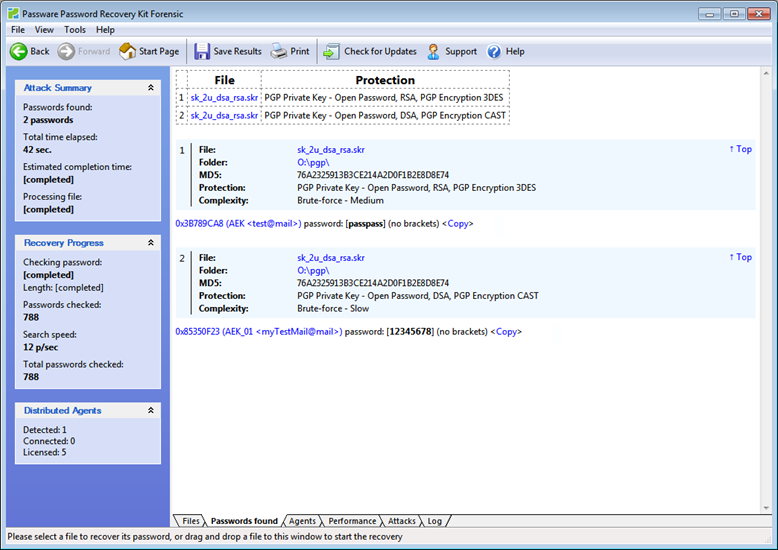 Passware pioneers in releasing a commercial solution to recover passwords for LUKS (Linux Disk Encryption) hard disks. The record speed of 300 passwords per second is achieved using GPU acceleration, which can be further enhanced withdistributed computing. 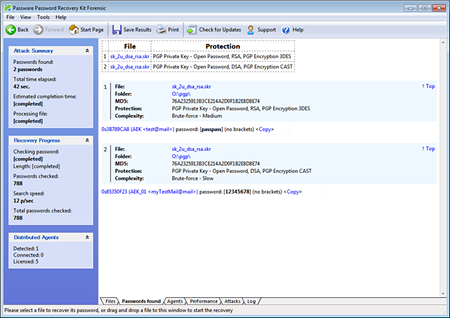 Passware Kit now recovers passwords for KeePass password manager, both KDB and KDBX files. The password recovery process is accelerated with NVIDIA and AMD GPU cards, as well as distributed computing. 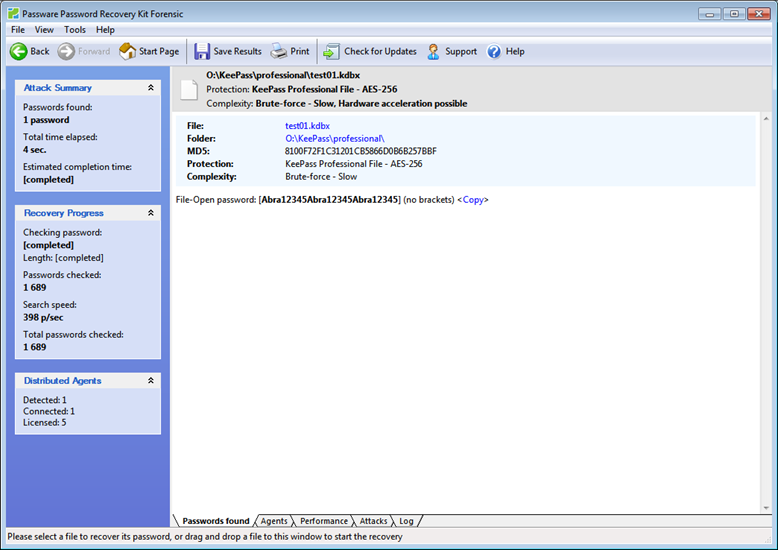 Passware Kit now processes multiple accounts in PGP Private Keyring (SKR) files in batch mode. Different password recovery settings can be applied to each account from a single SKR file, and the passwords are recovered one-by-one. NOTE: Batch mode is available in the Passware Kit Enterprise and Forensic editions only.